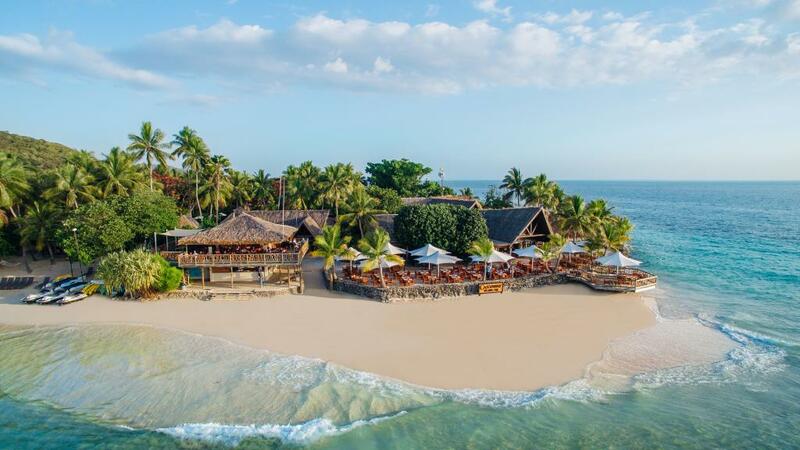 One of Fiji's most popular island resorts, Castaway Island Fiji has guests returning year after year to experience the magic that is Castaway. Featuring spacious and secluded bures combined with warm Fijian hospitality, Castaway is a unique holiday experience. Guests can relax by the resort style swimming pool, sunbake on the golden sandy beaches that overlook the surrounding Mamanuca Islands and enjoy amazing snorkelling just metres from the shoreline. Families are well catered for with a fantastic kids club and an array of restaurants and bars will keep you satisfied. Located in the beautiful South Pacific, Castaway Island Fiji is a great holiday destination for couples and families seeking a relaxing beach holiday. The bure style accommodation makes you feel a part of the island. Just moments from your room you will have golden sand under foot and amazing snorkelling before you. Castaway Island Fiji is home to a wide range of activities and services including a kids club, PADI Dive centre, restaurants & bars, WiFi internet access, swimming pools, island trips and more, offering everything you've dreamed of on a tropical island holiday.